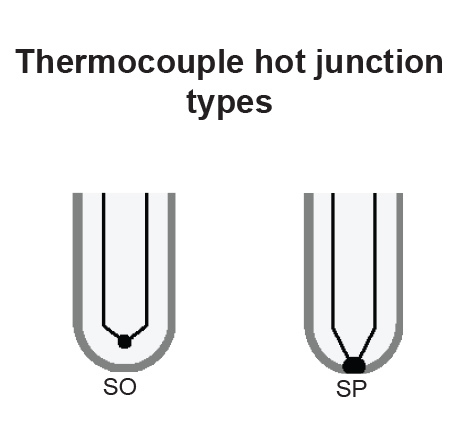 Applicable for temperature measurement of liquid and gaseous media in high pressure conditions. 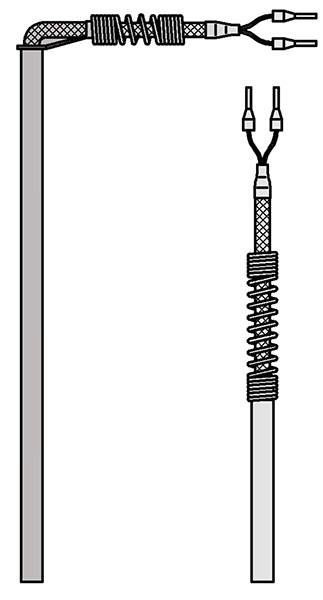 This Sensor consists of sensing element placed in the thin-walled acid-resistant sheath with connector and flexible lead wire. Temperature transmitter with standard 4÷20mA, 0÷10V output signals and with the HART or PROFIBUS communication protocols can be installed in the control cabinet. 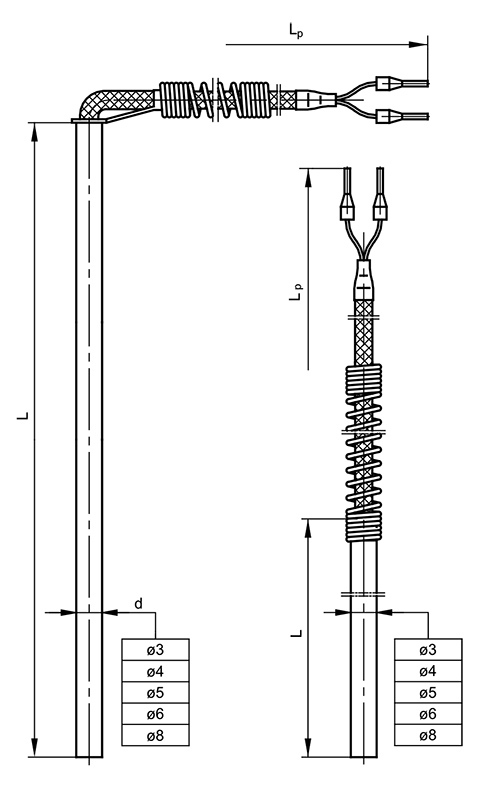 Immersion length, shape and material of the sheath and other parameters can be customized per client request. PCW (PCV) -10÷105 Applied in mild environmental conditions. Waterproof and flexible. Yc- polyvinylchloride -10÷105 Applied in mild environmental conditions. Waterproof and flexible. FEP-teflon -50÷200 Resistant to oils, acids and other aggressive liquids. Good flexibility. Ws-fiberglass -60÷400 Good resistance to high temperature Low resistance to liquid penetration.